Qualifications: Master of Music majoring in Composition and Piano. Alissa Long was born in Jordan, raised in Taiwan where she got her Master of Music in 2012, and currently lives near central Christchurch. She not only teaches music but is also a professional composer with a number of her pieces performed internationally as well as a working pianist in concerts, functions and other events. Alissa Long is an experienced music teacher and pianist who has been teaching piano, composition and theory for over a decade to a range of ages from small children all the way to university graduate level. 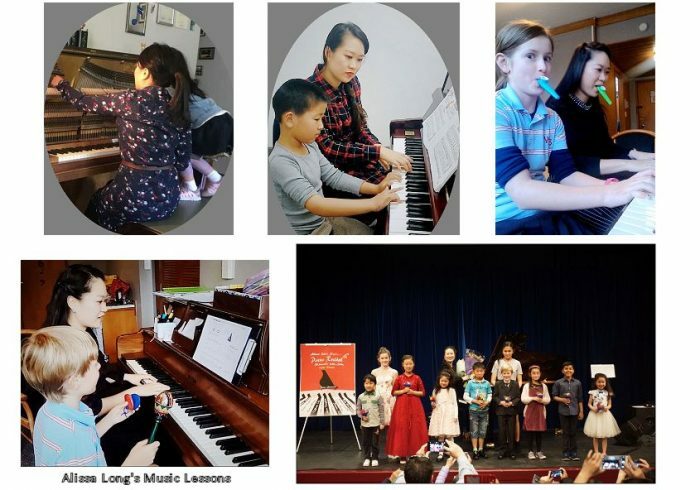 She enjoys teaching a range of styles, from classical to modern piano and encourages her students to pursue goals, whether it be taking an exam, performing in public, writing their own music or making progress with certain techniques. Firstly, I believe in making the music learning experience a positive and enjoyable one. Secondly, I believe in focusing on the joy of realizing achievements accomplished through hard work and dedication. I have many years of teaching experience in music education both in private studios such as the internationally respected Yamaha studios and in the classrooms of both public and private schools. I am also able to provide music lessons which, in consultation with parents and students, adjust repertoire and teaching methods to suit individual needs. * Multi-lingual lessons – English, Mandarin Chinese or Taiwanese. I’m looking forward to helping you achieve all your musical goals!